All the features of the original in a slimmed down package. 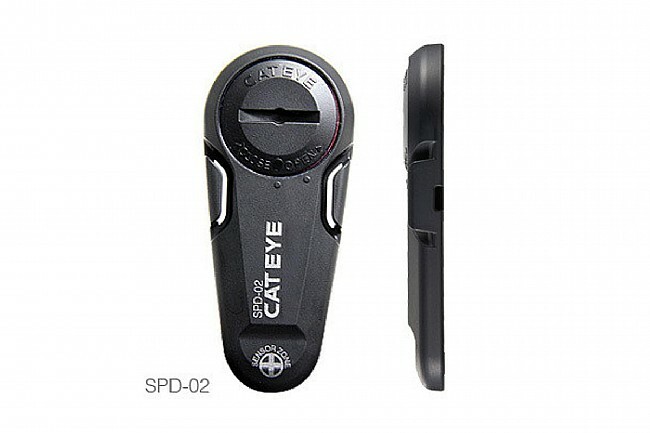 CatEye has taken their popular Strada cyclocomputer and put it on a diet. 35% thinner and lighter (only 12 grams for the computer and battery), it still retains all the functions of the original and even increases the screen size. The Strada Slim also has a new sensor that is placed, out of sight, on the inside of the fork blade creating a sleek, aerodynamic look. The display is tiny but the information is generous. The measuring part goes on the front wheel and the fork, the readout goes on your handlebars, connects wirelessly, and takes up very little space. It provides distance, time, a clock, an odometer, peak speed... all kinds of fascinating information. Easy to reset. According to friends, the battery lasts about two years in regular use. The size and display on this unit are fine, but the fragility was a deal breaker for me. 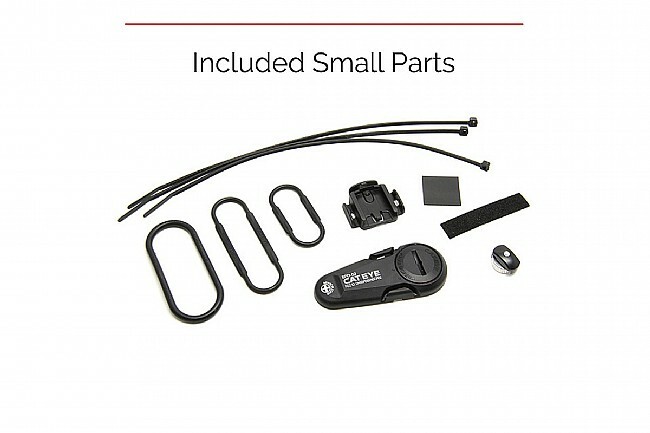 Western Bike Works was helpful and sent a second unit when I described the problems that I was experiencing, but the second evinced the same limitations. I live in Northern California at the edge of the foothills, and our summers are hot - 95-105 on many days. Early in the summer, the Strada Slim began wigging out in the heat. At five to ten miles into a ride, it essentially reset itself asking me what units - mph or kph - that I wanted to use. In the middle of a ride, I had to stop to reset it several times before I contacted the bike shop and explained my problem. The new unit evinced the same problem, so I began to use it only on cooler days. On a day of 85-88 degrees it repeated the problem. so I consulted the bike shop and purchased a Garmin 25, which is unaffected by the heat and has a much sturdier case. 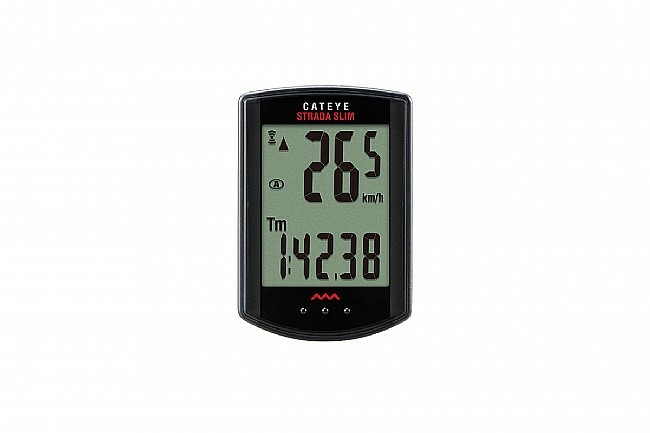 Easy to use & navigate, this gives you all the information you need to track your progress. Superb and a great value! I've had one of these for about three years now of continuous and regular and it has been superb. They're easy to set up, no wires, compact, easy to read, low-profile. I've changed the batter once. They're great to have in a pace line so you'll know the group's speed when it's your time to pull. These are simple and inexpensive devices that provide the basic services that everyone ones speed, pace, time, distance. Highly recommended. Use on regular daily commute. 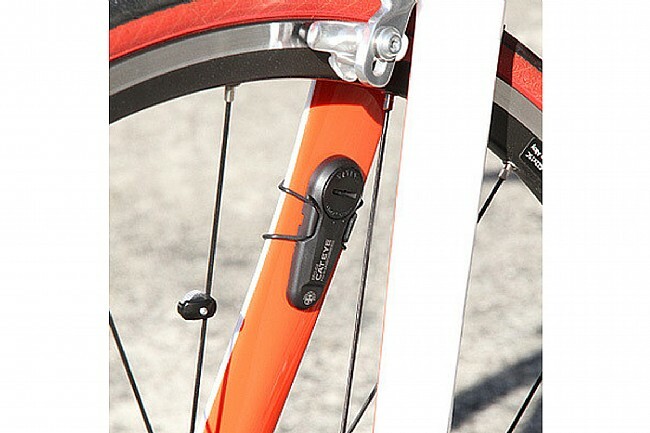 Easy toggle to all functions while installed on bike. Easy set up with instructions. Recommend as simple functional computer with good feature mix. Picked up this computer for my wife's bike. Easy to install and initialize this unit does the job at a very reasonable price. Highly recommended. This replaced my wired Strada, which was working intermittently and I gave up trying to figure out where the problem was. This wireless solution is far more elegant. I like getting rid of all those wires wrapped around my tubes. The minimalist rubber band mounting hardware is more elegant too. The screen is the same height but wider. It is substantially easier to read. The biggest negative is that the wireless range is really short. To get a reliable link, I had to mount the sensor at the very top of my fork and pad it out to get the sensor close enough to the magnet. Not a big deal, but be aware. It USUALLY wakes up when you start riding, but not always. Trust, but verify. Again, not a big deal. On my last ride, the link was good and the odometer was working fine, but the speedometer intermittently just read zero. Don't know that that was about, but if it's recurrent, I am going to have to contact CatEye. So I do have some concerns about this product, but overall give it a very good rating. Nice package of basic functions. All the basic measurements packed in a simple, small design with relatively large screen digits. One small drawback is that the easy one-click-push the operator uses to cycle through the screen display options is occasionally too sensitive. At times I find I have clicked to another screen or worse cleared my trip data by accidentally pushing or holding the unit with a simple handlebar grab or dropping-helmet-bar-bump that engulfs the computer unit. 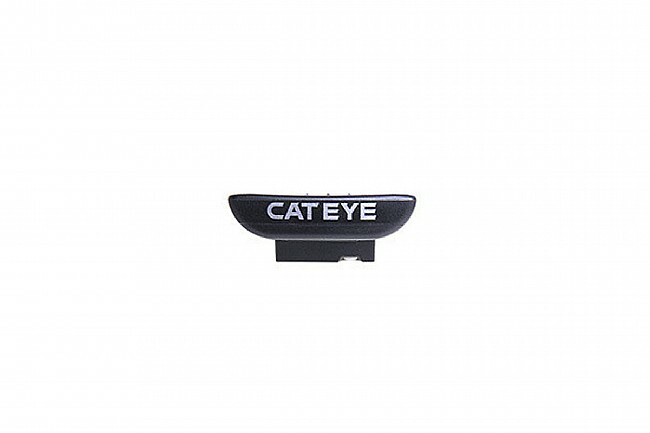 this cat eye model is what i was looking for,a small unit that fits on top of my stem and easy to see. The set up was clear to understand and implement. Gives me the basic information package. I was not interested in a jumbotron information overload package that communicates with the world. I just ride. Easy to use functions and larger numbers and screen than the Strada it replaced. Love the clean sending unit look tucked inside the fork. Unlike my old Strada this one goes to sleep after one hour and needs to be manually woken up. This battery saving feature has occasionally caught me not recording a night ride. During daylight the blank screen of the sleeping unit is obvious. the improvements of this unit is really nice. I really like how the wheel magnetic sensor fits inside the fork arm and attaches with a flexible band. it can be removed and reinstalled easily for cleaning and other servicing needs. The computer itself has a clear and large display. 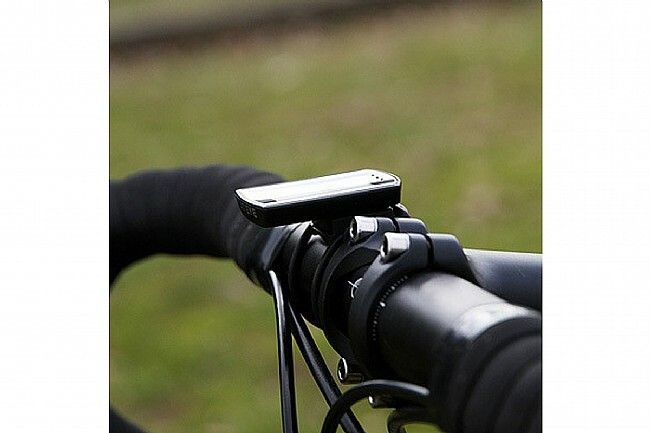 It has two mileage trip displays so you can track your current ride and keep track of several rides. My last Cat Eye is 8 years old and still works great, the improvements of this unit is really nice.